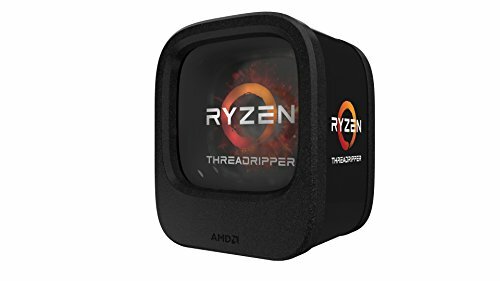 ASUS worked with us to put together a high end creator/gaming system built around AMD's new Ryzen Threadripper/X399 platform. You can watch the Build Video to see it come together as well as the Cable Management Time-Lapse to see how Barry brought order to the chaos of cables. Another fantastic build guys, would love to see more gaming benchmarks in 4K and 1440p if you're able! +1 from me for sure! Glad you enjoyed it. We probably won't be able to run too many more benchmarks on this specific setup as the CPU will need to be returned, but what other benchmarks would you like to see? Would love to see how it handles The Witcher 3 in 4K but if your time with this setup is limited then no worries! Love the way it looks though, very inspirational! We haven't defined a benchmark for The Witcher 3 yet, but a bit of quick test playing (the first couple areas when you head outside to start training) at 4K/Ultra/FullScreen saw an average of 84 fps. Minimum I saw during the gameplay was ~75fps and as you moved around quite often saw peaks around 100 fps. Is it just the CPU that has to be returned, or is it everything? I would not even recommend a Ryzen 7 1700 for a pure gaming build, the highest I would recommend is a r5 1600 or an unlocked i5/i7 kabylake depending on budget. That does count for 4k builds as well. Whoa, someone who actually knows how to format their description nicely - hi BoyScout. This build is a big ham btw, I love it. PCPP uses Markdown format, a quick Google search will find you a reference. Ha! Glad you like the format (and the build). Thanks for the feedback! For those wondering about the sub-par Ghost Recon Wildlands performance, the game has little to no SLI optimization. This looks awesome. +1 Great work. Cant wait for the coffee lake build on october. I thought that it had been decided by intel that the next gen architecture will be called Ice Lake. Okay. That is just what I heard. I guess that most of it is just speculation though. did you tried to overclock the cpu ? No, these results are at stock settings. The 1950X boosts to 4GHz/4.2GHz. The boost speeds we typically saw across most cores was 4.115GHz. +100000 for my favourite case company..
Glad you enjoyed it. We greatly appreciate our partners (such as ASUS and Anidees with this build), who help us bring fun builds like this to life. We definitely appreciate their support! Very nice looking monster build. Thanks! And monster is about right. It gobbled up every benchmark we placed in front of it. Wow, that is one great X399 build. Ace job from the staff! Thanks! Glad you enjoyed checking it out. Those 1080 Ti's take up like half of the space inside the case. this thing is amazing. It's nice and cozy inside that front chamber. How does the 10GB ethernet card that's provided with the Zenith fit into this while having Gpus in sli? Does it fit? If i plan to use thst card should I consider a different case? Thanks for testing it! I was going to go with a watercooled card so heating shouldn't be an issue. Now finding this case in black, that's the difficult part. the case is so cool. Where did you buy this one ? i saw one in amazon but the price is doubled. Definitely a cool case. Anidees provided it for us to use in this build. Not sure why the availability has tightened up at the moment, but we've seen it on both Amazon and Newegg. If you're still looking, I checked with Anidees and it sounds like they are expecting more availability in the coming weeks (late Sept/early October), so keep an eye out. Very cool. I wonder how much performance is added with the 2 cards instead of 1...I'll have to run benchmarks on my build, parts coming in tomorrow and largely identical to this one! Should handle all my work and gaming needs for the next 5 years hopefully, and hoping applications get updated to utilize more threads soon! Do 1080ti's typically idle at or near 50c? It depends a good bit on the specifics of the card as well as the airflow provided by the case/case fans. Glancing back over our past 1080 Ti builds, it's varied from ~30-50C at idle. That said, we tested this build in an open case setup before building it out and check back to my notes under that situation (open air) the GPU's idled around 42/47C, so there's something to be said for getting more air moving across the system, especially with dual cards building up their heat together. The idle/load testing was done with the front case fans on their default (quieter) setting, so it might have performed closer to the open test had we cranked them higher. Two 1080 TIs and you still can't max out AOTS at 4K on Crazy with 60fps? Lol, just joking, Decent build. Would overclocking this be possible? Looking into this case. How silent is it with those temps? 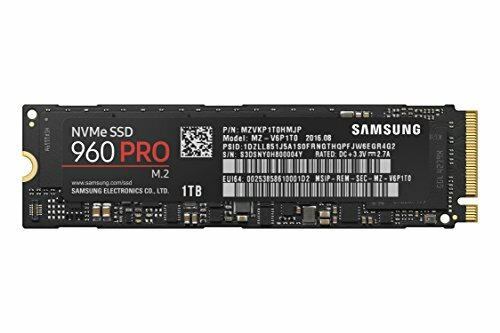 I'm putting together a new build for my work station with a 7820x.... my question is based on your memory choice. That ram is listed as a duel channel even though it comes in a pack of 4. Does that matter? Can it run fine in quad channel? Wouldn't 1900x give more or less the same benchmarks on games? What exactly would be the disadvantage of using 1900x instead of 1950x other than less virtualization capability and multitasking capability? I can't think of anything else that can improve because of 16 cores instead of 8. In fact, I feel that most games would give run at higher fps on 1900x because the base clock speed is 3.8 Ghz on 1900x, wouldn't it? 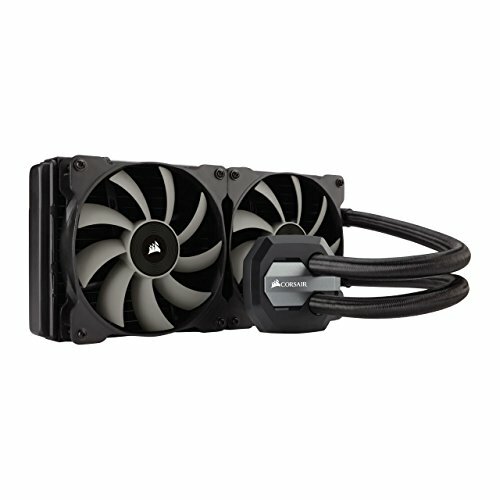 The Corsair H115i 104.7 CFM Liquid is not that good into some computer builds, if you replace it with a better CFM liquid it should do some better adjustments. I might suggest a set of bios setting screen captures with your build stats/benchmarks. How long will this build last for? I've never seen this case before. With the blue fans it looks terrific. I like all of your parts except the CPU cooler, and I will probably go with 1070 Ti GPU to save cost. The case makes this look similar to the old SGI computers on a smaller scale. I look forward to learning more about this one. Very nice build. Is all of this still up to date? Cause I've been looking into creating my own system and this seems to fit exactly what I wanted todo. So I was just wondering if these parts are still the best choice or if there are newer updated versions of them. Great build! I had a quick question. 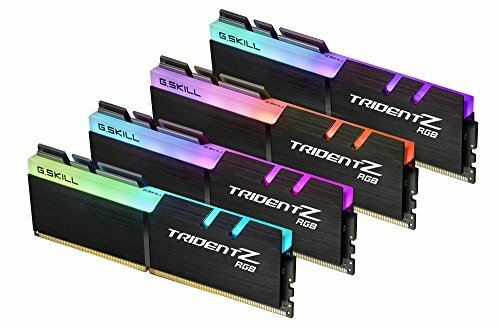 Did you use the AMD version of the trident z memory or the intel version? Any problem with the xmp? I like it looks nice, make sure you have some Windex next to your computer since all that glass is going to be a fingerprint magnet and hard to keep clean. Maybe a custom water loop for your CPU might be a better fit to help get the CPU temps down at stress or even a phase change cooler. Some fan filters for your intake would be good, I would hate to see the inside get all dusty. Fear not, there are dust filters on the side, top and bottom intake areas.